In September 2015 we invited the National Board for Safeguarding Children in the Catholic Church in Ireland (NBSCCCI) to conduct a review of our Community’s child safeguarding policy and practice. We very much welcome the findings of the report on our Community which was published today and accept all its recommendations. We are completely willing and open to collaborating fully with the NBSCCCI into the future to further improve our child safeguarding practices, something to which we are strongly committed. We are deeply saddened that so many children have suffered abuse and we continue to pray for full healing of all survivors of abuse and their families. As a constituent member of the Catholic Church in Ireland, we recognise and uphold the dignity and rights of all children and are committed to ensuring their safety and wellbeing, and will work in partnership with parents/guardians of to do this. We recognise each child as a gift from God, and we value and encourage the participation of children in all activities that enhance their spiritual, physical, emotional, intellectual and social life, though we have no direct contact with children. All Church personnel (including clergy, religious, staff, volunteers and any other Church personnel) have a responsibility to safeguard children through promoting their welfare, health and development in a safe and caring environment which supports their best interests and prevents abuse. DLP (Designated person): Mr. Andrew Fagan. Child Protection Services, Holy Cross College, Clonliffe, Dublin 3. Tusla: (Child & Family Agency). The National Board for Safeguarding Children in the Catholic Church in Ireland (NBSCCCI) was asked by the Sponsoring Bodies, namely the Irish Episcopal Conference, the Conference of Religious of Ireland and the Irish Missionary Union, to undertake a comprehensive review of safeguarding practice within and across all the Church authorities on the island of Ireland. The NBSCCCI is aware that some religious congregations have ministries that involve direct contact with children while others do not. In religious congregations that have direct involvement with children, reviews of child safeguarding have been undertaken by measuring their practice compliance against all seven Church standards. Where a religious congregation no longer has, or never had ministry involving children and has not received any allegation of sexual abuse, the NBSCCCI reviews are conducted using a shorter procedure. The size, age and activity profiles of religious congregations can vary significantly and the NBSCCCI accepts that it is rational that the form of review be tailored to the profile of each Church authority, where the ministry with children is limited or non-existent. The procedure for assessment of safeguarding practice with such congregations is set out in the contents page of this report. The NBSCCCI welcomes that in order to have full openness, transparency and accountability, religious congregations that do not have ministry with children have made requests to have their safeguarding practice examined and commented upon. The purpose of this review remains the same and it is to confirm that current safeguarding practice complies with the standards set down within the guidance issued by the Sponsoring Bodies in February 2009 Safeguarding Children: Standards and Guidance Document for the Catholic Church in Ireland and that all known allegations and concerns had been appropriately dealt with. To achieve this task, safeguarding practice in each of these Church Authorities is reviewed through an examination of policy and procedures, and through interviews with key personnel involved both within and external to the religious congregation. This report contains the findings of the Review of Child Safeguarding Practice in the Poor Clare Order undertaken by the NBSCCCI in line with the request made to it by the Sponsoring Bodies. The findings of the review have been shared with a reference group before being submitted to the six Abbesses along with any recommendations arising from the findings. The review is not based on a review of case material as during the relevant time period there were no allegations made against Sisters of the Order that were within the Terms of Reference. There also were no allegations in respect of other forms of abuse within the time period, in respect of deceased and living Sisters of the Order. The review therefore is primarily based on policies and procedures made available plus interviews with key personnel involved in the safeguarding process within the Order, particularly in the services run by the Order. The Order of Poor Clare Sisters, officially known as the Order of Saint Clare was founded as the Second Franciscan Order wholly dedicated to the contemplative life. Inspired by the example and preaching of St. Francis of Assisi, St. Clare left home on Palm Sunday in the year 1212 to join St. Francis in his Gospel project. A short time later, other young women joined her and this marked the beginning of the Order. In time, Francis was able to offer Clare and her companions a monastery adjoining the Chapel of San Damiano where she became Abbess. Her Rule, which she referred to as a Form of Life was “to observe the Holy Gospel of Our Lord Jesus Christ, by living in obedience without anything of one’s own and in chastity” (Rule Chapter 1). The Poor Clares follow the rule of St. Clare, which was approved, by Pope Innocent IV in 1253. The Order soon spread throughout Europe and in 1300 there were 27 monasteries in Spain alone. Five Irish girls went to the continent early in the 1600’s to get formation on religious life with a view to bringing the Poor Clare way of life to Ireland. They returned to Dublin in 1629. Two postulants joined them on route. Being an unsettled time in Irish history, they were driven out of Dublin and made their way to Dillon territory in Athlone, as two of their pioneering group were Dillons. In Athlone some Galway girls joined them which precipitated a foundation in Galway in 1642, Galway being considered a safer place as the confederate unrest loomed. However, the years ahead brought Cromwellian and Williamite wars so religious life had to be lived in a low key and in places apart but in great fidelity as the Community Annals record, until they could return to Nuns’ Island in 1825. Monasteries were founded in Carlow 1893 and in Dublin in1906. From these, foundations were established in Cork in 1914 and Ennis in 1958. In 1973, an enclosed community of nuns of the Franciscan Third Order Regular in Drumshambo, ( founded in England in 1852) established in Drumshambo in 1854, transferred to the Second Order (1973) and became the sixth monastery of the Order of Poor Clare’s in Ireland. 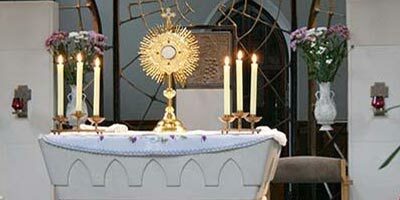 The Order of Poor Clare Sisters or Second Franciscan Order, observe the Holy Gospel of Our Lord Jesus Christ, living in chastity, without anything of one’s own, in obedience, and in Papal enclosure; their day is structured around daily Mass and Eucharistic adoration, periods of mental prayer and Scripture reading (or Lectio Divina). The Liturgy of the Hours also known as the Divine Office is celebrated seven times a day. The Sisters engage in manual work: vestment making, altar breads, music and art work. As previously stated, the six communities of the Order of The Poor Clare Sisters are enclosed. There is physical separation from the public by means of a grille or glass partition in each of the chapels and grilles in each of the parlours. The Sisters spend their day in prayer and also maintain the monasteries. Children of the public or family members are only allowed into the parlour if accompanied by an adult and are separated by the grille. Very rarely, family members and children may enter the monasteries for the funeral of one of the Sisters, or as is the case in Carlow, Cork, and Dublin to be permitted access to the monastery cemetery. All of the communities receive verbal requests and requests through letters for prayers. In all six of the communities, there are confidentiality statements visible to the public in the parlours, outlining that the Sisters have a duty to report any issues in relation to child protection, current or historic. There are four parlours that are accessible to the public. In all of these parlours the Sisters remain separated from the public by a grille. They frequently receive letters and visits from the public with request for prayers. The Sisters are conscious that within these letters and visits concerns in relation to child safeguarding may arise. In two recent situations, the Sisters appropriately offered the person bringing the concern, a meeting with the Designated Liaison Person (DLP), and gave appropriate advice about referral to the civil authorities. The concerns are also recorded in a special book. To assist the Sisters in their reporting responsibilities they have had extensive child safeguarding training. They have received awareness training from Kildare and Leighlin Diocese. They have also met with the current DLP as a group on four or five occasions to discuss all issues in relation to child safeguarding. The Sisters focus on providing compassion and healing through their prayers. On occasion, they have received some references to concerning information within prayer requests. The Sisters have worked closely with the Designated Liaison Person (DLP) from the Cork and Ross Diocese to help identify and deal appropriately with child safeguarding concerns. They met regularly with the previous DLP and have met with the current DLP on two occasions for information and training sessions in relation to child safeguarding. The monastery has a small number of employees who meet people at the gate and who provide domestic services and maintenance. The monastery have committed that these employees are to partake in an information training session on child safeguarding. The community had altar servers in the chapel approximately ten years ago. The servers would have remained separate from the Sisters in the monastery. When they had servers, they ensured that the Attendance Book was signed by the Celebrant, Designated Person, and Parent or Guardian of each server. The chapel in the Dublin monastery is used by the public for Mass and a priest from the CSSp Order celebrates daily, and travels from his residence elsewhere in the city. 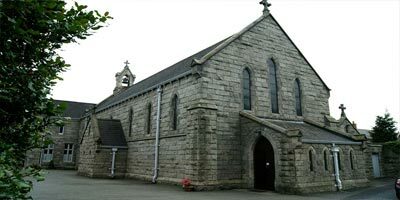 If a priest visits the chapel to say Mass, he has to present the relevant documentation referencing that he is a priest in good standing and be approved to minister through the Dublin Archdiocese. Child safeguarding notices of the Dublin Archdiocese are visible in the chapel and in the parlour. The Sisters receive requests for prayer and provide a “listening ear” for those who might visit the parlour. There has been a confidentiality statement visible in the monastery and parlour for the past six years. The Abbess outlined that in the past the public may have stated incidents of concern but there was little awareness at the time about the nature of child safeguarding or reporting procedures. The Abbess stated that since the confidentiality sign has been visible she is not aware of any concerns in relation to child abuse being reported or historical allegations. If a concern did arise the Sisters are aware that they should report the matter to the DLP for the Dublin Archdiocese. The Dublin community has not received any specific training for the community as a whole and the Abbess is making enquiries about a NBSCCCI trainer coming into the monastery. The Abbess has outlined that the Order has never received an allegation or concern about child safeguarding through prayer requests. The Order has recently had an initial meeting with the Killaloe Diocesan Designated Liaison Person and plan to link with her to develop a more robust understanding of child safeguarding. No Sisters of the Ennis community have received child safeguarding training or guidance as yet. There are no altar servers in Ennis. In the Chapel sacristy there is a book where all priests must sign in. Visiting priests must produce a copy of their ‘celebret cards’ before they can say Mass. The community has a limited number of employees who are Garda vetted. Each Sister in community was also subject to Garda vetting. The community regularly receives letters from the public in relation to requests for prayer. The Sisters are very conscious that within these letter there can be sensitive information that may relate to historical or present concerns about the abuse or safety of a child. The Sisters report that they always seek advice and guidance from the Galway diocesan DLP if there is a letter they are concerned about. Very often, the information in the letters is vague or the person unidentifiable and the Sisters will write back and advise them to contact the civil authorities if they have concerns about a child. The Order of Poor Clare Sisters Galway keeps a copy of these letters and their response in a secure cabinet and abides by data protection procedures. The community has received training from the Galway Diocesan Safeguarding Team and from the NBSCCCI in 2012 and has sought guidance at diocesan level, has met with the Galway Diocesan Representative and discussed the diocesan policy when it became available in 2011. The Sisters continue to facilitate altar servers in the Chapel. The altar servers are supervised by a member of the Congregation of the Sisters of Mercy who is Garda vetted. The Sisters of the Order of Poor Clares are separated from the altar servers at all times by a grille. There is an attendance book for the altar servers, which is signed by the supervisor, priest and servers. In the sacristy, there is a framed copy of a statement requesting that all visiting priests must produce a copy of their celebret before they can say Mass. Occasionally families with their children visit relative’s graves when they request it. This would happen only rarely and there is no question of them going through the monastery itself. There is direct access to the cemetery from the public Chapel. There are currently eleven Sisters in the community and all are active in their ministry. The Sisters range in age between 40 and 94 years. There are currently seven Sisters in the community with an age range of 47 to 70 years. All remain active within the community. There are currently eight Sisters resident in the community. The Sisters have an age range of 43 to 91 years of age, with six of the Sisters being over 70 years of age. One Sister is from the Philippines. She has a letter of recommendation from her Abbess and regional Cardinal. There are eleven Sisters in the community with an age range of 58 to 83 years of age. There are thirteen Sisters in the community with two Sisters residing permanently outside of the monastery in nursing residential facilities. The age range of the Sisters is 40-89 years of age. There are currently five Sisters in the community with an age range of between 61 and 91 years, four of which are active in ministry within the community. One Sister is residing in a nursing home. The child safeguarding policy of the Poor Clare Community in Carlow. A Confidentiality Statement outlining the responsibility of the Sisters to report matters of a child protection concern. Contact details for the DLP, the civil authorities, counseling services, Childline and the ISPCC. The Order of Poor Clare Sisters has adopted the policy of the Diocese of Cork and Ross. The community adheres to the child safeguarding policy and procedures document of the Dublin Archdiocese. They also have their own statement that is in line with the diocesan policy. The Sisters adhere to the policy and procedures document of the Galway Diocese. They have adapted this to their purposes with their first policy dating 2006 and was revised in the summer of 2015. The Sisters have a child safeguarding statement containing all the relevant contact details of the diocesan DLP and civil authorities on display in the porch of the monastery, in the chapel and it is available for reference at the counter in the parlour. The community adheres to the child safeguarding policy of the Diocese of Ardagh and Clonmacnois. In the porch of the Convent and in the chapel of the monastery there is a visible laminated copy of the child safeguarding policy and the contact details for the DLP and civil authorities. There is also a child friendly statement from the diocese with information for children visible in the sacristy. The six communities of the Order of Poor Clare Sisters in Ireland operate autonomously. There is a federal structure consisting of a president, three councilors and a secretary, who are elected every three years at an assembly. As each monastery is autonomous and has its own child safeguarding policy, there is no specific child safeguarding policy, procedures or structures at federal level. The Federation has however, facilitated formation on guidance in child protection matters and the subject has often been discussed at federal level in order to impress upon the member monasteries the importance of the matter. The Abbess and four Sisters comprise the council. Decisions are made at community and council meetings, and the community is under the supervision of the bishop of the diocese. The diocesan bishop has a certain supervisory role over the monastery. The Sisters elect an Abbess and two Discreets every three years. These three Sisters form the Council. One of the Discreets is also the Vicaress. Some decisions are made by the Council; some by the whole community. The Abbess and two Sisters make up a council of three. The community of eight Sisters meets on a twice monthly basis to discuss issues and plan. The community is headed by an Abbess, who is a mother and servant of all the Sisters, a Vicaress and three Discreets that make up a council. The Order has community meetings and council meetings so that all decisions are owned by the group. The community is under the Canonical Jurisdiction of the Order of Friars Minor. The Abbess and four Sisters comprise the council which is elected every three years. To assist her in all child safeguarding matters the Abbess has appointed the current Vicaress as the Community DLP. The Community also works closely with and takes advice and guidance from the diocesan DLP. The Sisters are headed by an Abbess. They hold community meetings to make decisions and attend the Federal assembly. There have not been any allegations of abuse against any member of the Order of Poor Clare Sisters in any of the six communities in Ireland, and as such there has been no contact in relation to these matters between the Order and the civil authorities, An Garda Siochana or TUSLA. Consequently there was no case management material examined during the course of this review. The Order of Poor Clare Sisters in Ireland is an enclosed Order of Sisters that reside in six autonomous communities across the country. Each community is engaged with their local diocese at differing levels for support and guidance in relation to child safeguarding. As enclosed and autonomous Monasteries there are some differences in the understanding and developmental stage of child safeguarding practice. Each community should continue the work closely with their DLP and their safeguarding personnel to ensure a clear understanding of what constitutes a child safeguarding concern, and the appropriate structure for reporting concerns, both current and historic. In order for the National Board to be able to state that all Church Authorities on the island of Ireland have been evaluated in respect of their child safeguarding policies and practices, both historical and current, then some form of appropriate assessment has to be conducted of every one of these. It is rational however that the form of assessment is tailored to the profile of each Church Authority, and that needless expenditure of resources and unnecessary interference in the life of religious orders and communities that have no children-specific ministry would be avoided. This Review seeks to examine the current arrangements for safeguarding children across small Religious Congregations /Orders, and Missionary Societies in Ireland who have limited or no direct contact with children as part of the Congregations ministry. It would also scrutinize practice within all known cases to ensure that they have been responded to appropriately. The review’s methodology is an adaptation of the methodology developed for all Dioceses and large religious congregations and missionary societies, where the ministry involves regular contact with children. (c) Existing relationships with statutory authorities such as the HSE, Gardai in the Republic and the HSCT or PSNI in Northern Ireland. The objective of the Review would be to confirm if there have been any allegations and how known allegations have been responded to; in addition the review seeks to confirm what the current arrangements for safeguarding children are. In particular, emphasis will be placed on establishing how policies and practice matches up to the standards set down in the Safeguarding Children Guidance published by the National Board for Safeguarding Children in the Catholic Church launched in February 2009. Priority, at all times, will be given to how policy and practice can be improved and strengthened. If policies and/or practices are identified that are concerning, inadequate, or dangerous, they will be addressed through the provision of guidance and support, and through the reporting of these situations to the appropriate statutory authorities, if this has not already happened. Similarly, those that are good examples will be highlighted with a view to them being adopted comprehensively across all parts of the Church. All cases that relate to alleged or known offenders that are alive will be read and included in the Review. In cases where the alleged or known offender is deceased, these will be sampled in an attempt to gather learning from them that will be used to inform the framing of recommendations. (c) Legislation that exists in each jurisdiction which contributes to safeguarding children and young people. The Review will be undertaken by the National Board for Safeguarding Children through their National Office and led by the Chief Executive Officer. The Review process will be overseen by a Reference Group to whom the CEO will report on a regular basis. The membership of this Reference Group has been drawn from each of the statutory child protection agencies in both jurisdictions, along with eminent individuals in the field from academia. The current Reference Group consists of : Dr Helen Buckley (TCD); Mr Paul Harrison (Tusla), and John Toner (SBNI). It is important to confirm that the value of the Review is dependent upon full and complete access to all relevant documentation and information relating to the abuse of children known to the individual Church authorities. The Review will proceed on the basis that willingness exists on the part of each of the subjects of the Review to provide full access to the fieldwork team, subject, where relevant, to the terms of the Data Processing Deed agreed between the Sponsoring Bodies and entered into between the parties hereto. A letter of invitation to review is sent by the Provincial/Regional Superior or other person responsible for the Congregation/ Order or Missionary Society (hereinafter referred to as ‘the Ordinary’). For any Order where there have been allegations a full review will proceed, as per step 4 - 23. For those Orders where there have been no known allegations a desk top examination of policies and procedures will take place followed by a site visit to interview all relevant personnel within the safeguarding structure. For these orders step 5 and 13-23 will apply. The Church Authority will be asked to make available all of the case files and related documentation in respect of any safeguarding concerns that have been identified within the diocese. The Church Authority will make available a room with wireless internet access for the reviewers to conduct their review of files, so that any records made by the reviewers can be directly typed and stored onto a secure server which is only accessed by the reviewers. In the absence of internet access the reviewers will type their notes onto a secure encrypted usb stick for later uploading onto the secure server. The Church Authority will arrange a schedule of interviews with all who hold safeguarding roles within its functional area. The designated person and the Church Authority will be available to the reviewers throughout the period of fieldwork. The fieldwork team when they arrive on site will firstly confirm that they have a suitable place to work in and that all the required documentation has been provided to them for their Review. In the event that the fieldwork team forms the opinion that the Church Authority has not provided access to all such documents, the Board shall give notice in writing to the Church Authority of the opinion of the fieldwork team and such notice shall specify the reasons for same. Thereupon, the Church Authority shall respond in detail to the Notice. Each party shall use its best endeavours to resolve any differences of opinion which shall arise and, in the event that resolution is not arrived at, the parties will attempt to resolve the dispute by recourse to the services of a mediator agreed between them or nominated for the purpose at the request of any of them without prejudice to the Board’s entitlement to terminate the Review. In the event that resolution has not been arrived at following mediation, either party shall be at liberty to terminate forthwith the Review. On arrival, the fieldwork team should be supplied with a single case file index that lists all the cases that have been created within the diocese. These may be divided into two groups. The first group will contain all allegations that relate to living alleged or known perpetrators. The second will contain any that are deceased. Depending on the volume involved a decision should be made as to whether all or a random sample of the “deceased group” should be reviewed. Care should be taken to include all prominent cases in the sample. Each case file will be reviewed by each fieldworker independently in the first instance. They will create a written summary with chronological information of the case. In certain cases a second reader may be required, this will be discussed and agreed between the fieldworkers. Following the reading of the case and the creation of a summary, the fieldworkers will analyse and assess the actions taken in the case. They will assess compliance with agreed Church policy that was extant at that time. They will also indicate whether any current risk exists in respect of the information contained within the file and advise the church Authority of necessary safeguarding action to reduce the risk. When all the case files have been read, the fieldwork team will then examine and review any procedures or protocols that exist within the diocese to confirm that they are in compliance with the Safeguarding Children: Standards and Guidance document issued by the NBSCCCI in February of 2009. To complete the Review, the fieldwork team will then seek to speak to those directly involved in the safeguarding structure in the diocese. This should include the Advisory Panel, a sample of parish safeguarding representatives, the designated person, the safeguarding committee, victim support and advisors and the Bishop/Provincial. The purpose of these interviews is to form a view of the competence and effectiveness of the safeguarding structure that exists within the Church Authority. The fieldwork team will also seek to speak to representatives of the key statutory agencies to provide them with an opportunity to express their views on the quality of the working relationships that exist between them and the Church Authority. A verbal feedback session on initial key findings will be given to the Church Authority. Upon completion of the field work, the team may request to take materials – other than casework records to review off-site; this alongside all materials gathered by the reviewers, including written notes on cases and meetings, will be analysed and will form the basis of the draft assessment review report. The draft will be forwarded to the Church Authority for factual accuracy checking. Alongside all other reports under review, the report will be presented in draft to the Reference Group for their critique and comment. If further work is required at the direction of the Reference group the CEO will ensure this work is completed and advise the Church Authority accordingly. The report will be legally proofed by NBSCCCI lawyer. A final draft report will then be submitted to the Church Authority. The expectation would be that the Report will be published by the Church Authority at an agreed time in the future. All case material written, including summaries, as part of the review, which are for the reviewers use only, will be stored on a secure server. Has the order never provided any service to children (e.g. contemplative orders). If this is the case, reference should be made to this. If complaints have been referred to the Redress Board or Ryan Commission, this review cannot access these records and that will be stated in the report. If the order has received complaints which have not been processed through Redress or Ryan these cases will be thoroughly examined as detailed above. It is recognised that not all Orders will have any ministry with children and therefore their policies and procedures should reflect the work that they do with children. If the Order only works through other organisations, example in Diocesan work or in schools, they are required to follow the policies of those organisations. Where it is clear that the criteria do not apply a reference should be made at the beginning of the review report that the Order’s ministry is not directly with children and therefore adherence to particular criteria do not apply. If the Order is a contemplative Order, there is no expectation that they will have detailed policies and procedures, but reference should be made to their ministry and that they have no contact with children. In all cases, contact will be made with the civil authorities to identify if they have any child safeguarding concerns in relation to the order. Monday to Saturday, inclusive; 7.30 a.m.
First Saturday of each month, in honour of the Immaculate Heart of Mary; 3.00 p.m.
Sundays and Bank holidays 9. a.m.
Daily, from 9 a.m. until 12 noon and from 1 p.m. until closing time for the chapel, unless there is afternoon mass (First Saturday ), or cleaning ( usually Thursday afternoon ) in progress. Sundays, from 10.30 a.m. until 12 noon and from 1 p.m. until closing time for the chapel, The Rosary is at 4 p.m. followed by Evening Prayer and Benediction –(texts are provided). On First Fridays Exposition is from 8.00 a.m. until closing time for the chapel, Evening Prayer and Benediction is at 4.30 p.m. (texts are provided). Copyright © Poor Clare Sisters Dublin 2019 All rights reserved.